Verda Anderson, 89 of Molalla & Hubbard passed away February 3, 2017 at Oregon Veterans Home in Lebanon, OR. She was born September 6, 1927 to Glen and Emma Hepler. 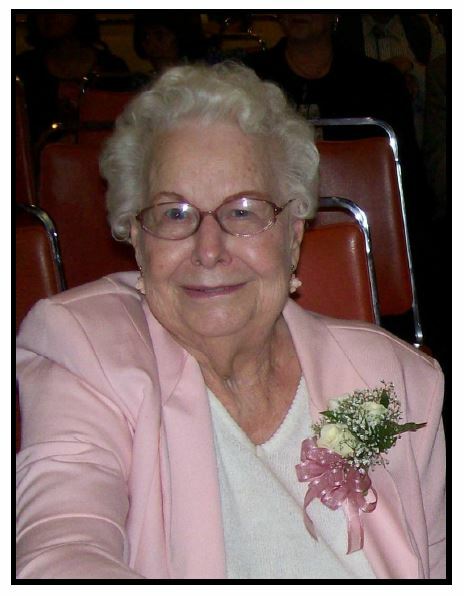 She graduated from Molalla High School in 1945. Verda married Melvin Anderson on March 14, 1948 in Vancouver, WA. They raised 4 children on their farm in Molalla. After Melvin's death in 1992 she moved to Hubbard to be close to family. She was preceded in death by their son Gary, husband Melvin, brothers LaRoy, Ken, Don, Bud, Dale & baby Gerald Hepler and sisters Shirley Pikkarainen & Lucille Grotzman. She is survived by her youngest brother Melvin Hepler and wife Irene of Molalla, daughters Judy Lehman and husband Pete of Molalla, Bonnie McCollum and husband Jerry of Sweet Home, son Eldon "Corky" Anderson and wife Judy of Hubbard, 5 Grandchildren, 8 Great grandchildren and blessed with many nieces and nephews.